This drape pair features a large-scale buffalo check pattern on the face. 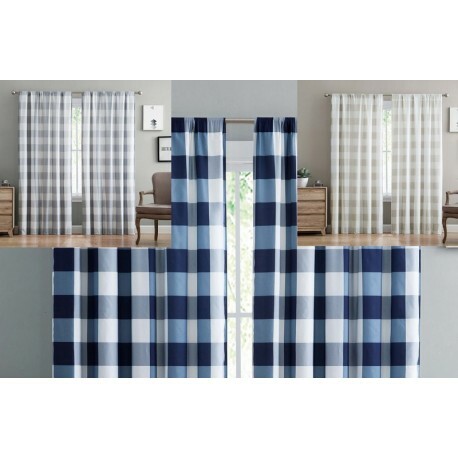 The drapes are lined and feature a rod pocket. The face of the drapes is a 100% brushed microfiber Truly Soft fabric designed to provide you the ultimate in softness. The drapes are machine washable, but care should be taken to use appropriate sized machinery.